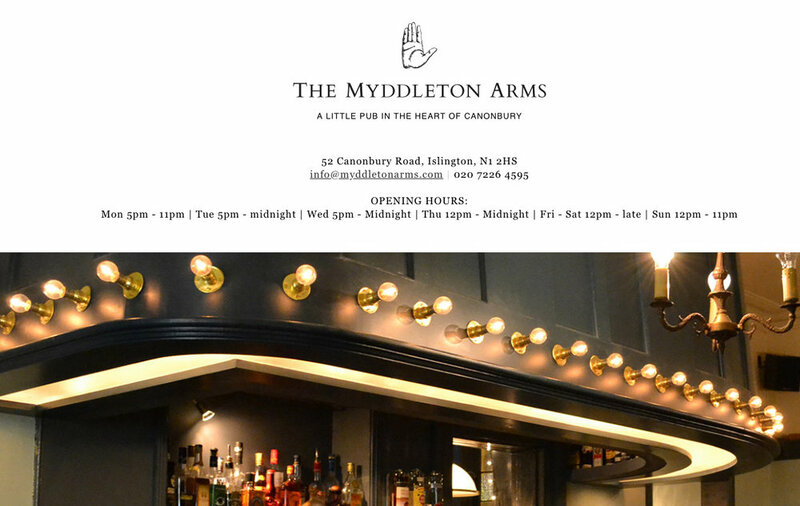 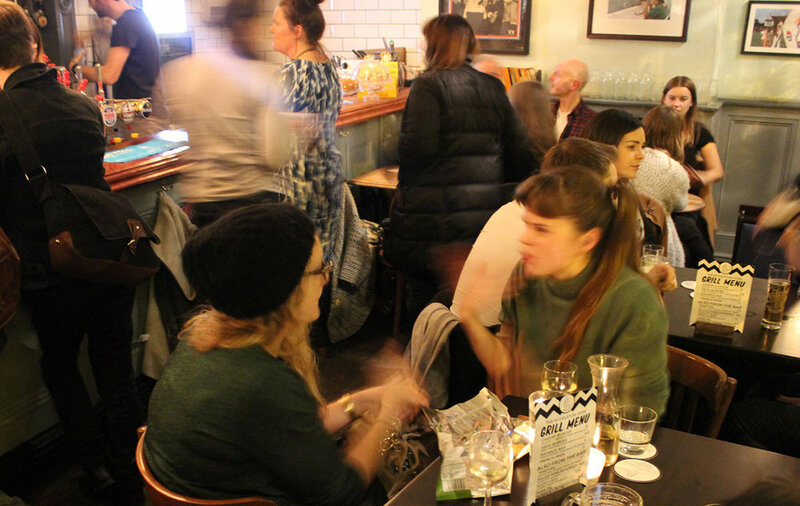 The Myddleton Arms is a family run pub in the heart of Canonbury, London, that has been completely renovated. 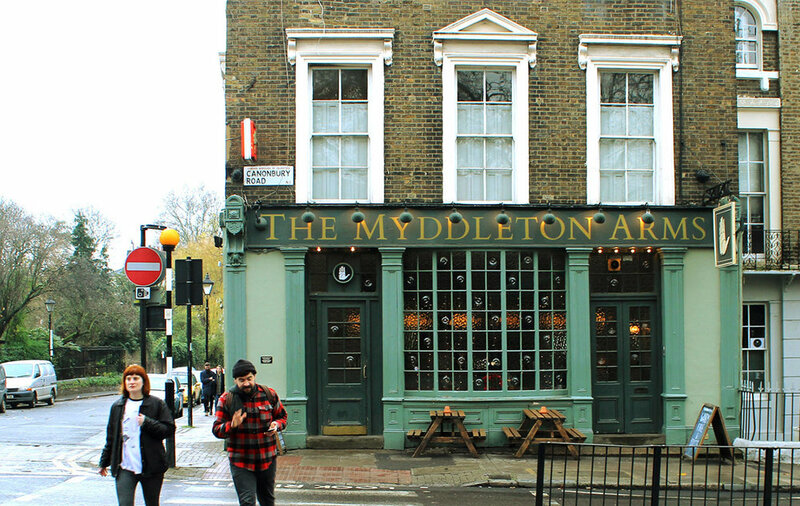 The goal of the project was to reflect the Georgian era building, which included modern touches to make the pub unique. 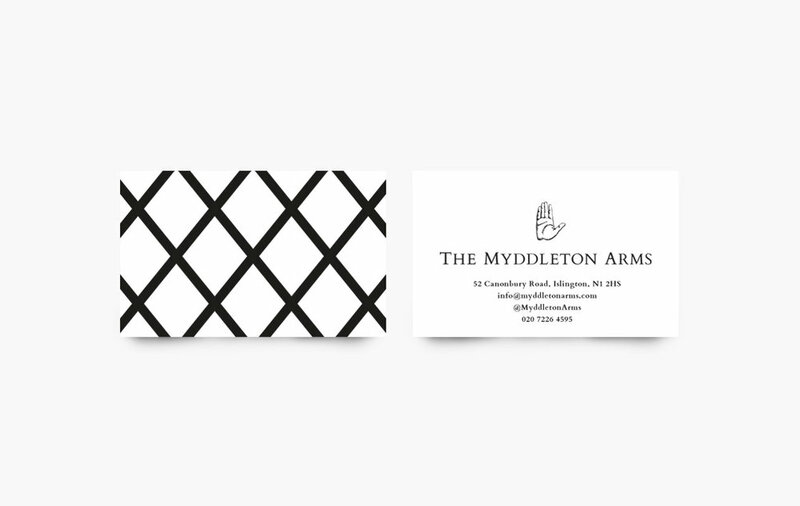 We built the visual identity around Sir Hugh Myddleton, an engineer who helped bring clean water into London. 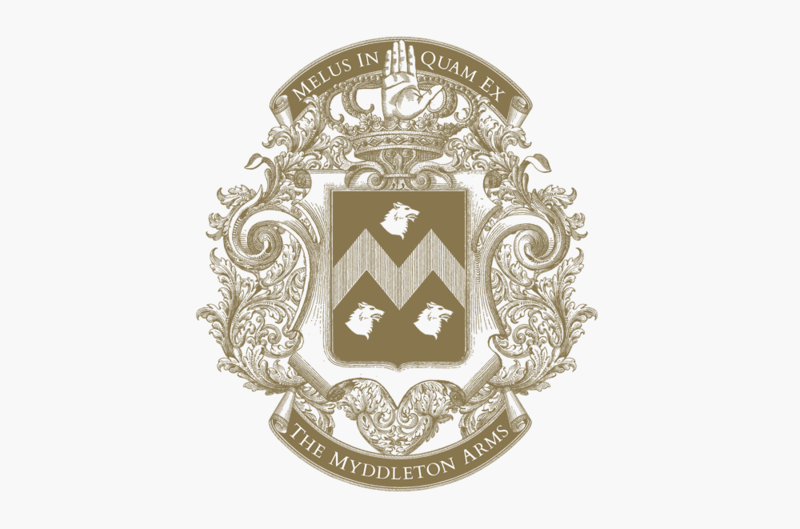 We researched his crest, which included three wolves heads and a gloved hand, and art-directed a new hand-drawn coat of arms based on these ideas and a centralised M.